Investigating the Politics of Knowledge and Meaning-making. The Sociology of Knowledge Approach to Discourse (SKAD) has reoriented research into social forms, structuration and processes of meaning construction and reality formation; doing so by linking social constructivist and pragmatist approaches with post-structuralist thinking in order to study discourses and create epistemological space for analysing processes of world-making in culturally diverse environments. SKAD is anchored in interpretive traditions of inquiry and allows for broadening – and possibly overcoming – of the epistemological biases and restrictions still common in theories and approaches of Western- and Northern-centric social sciences. An innovative volume, this book is exactly attentive to these empirically based, globally diverse further developments of approach, with a clear focus on the methodology and its implementation. 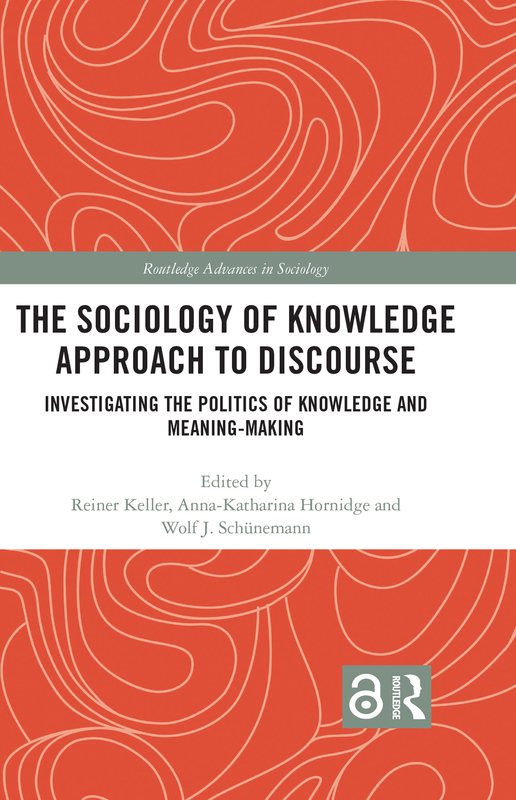 Thus, The Sociology of Knowledge Approach to Discourse presents itself as a research program and locates the approach within the context of interpretive social sciences, followed by eleven chapters on different cases from around the world that highlight certain theoretical questions and methodological challenges. Presenting outstanding applications of the Sociology of Knowledge Approach to Discourse across a wide variety of substantive projects and regional contexts, this text will appeal to postgraduate students and researchers interested in fields such as Discourse Studies, Sociology, Cultural Studies and Qualitative Methodology and Methods.